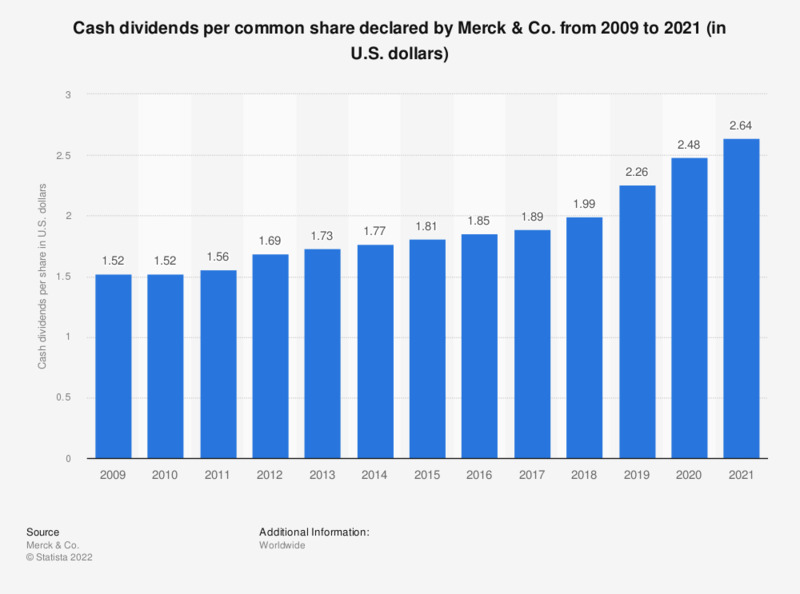 This statistic shows the declared cash dividends per common share of the pharmaceutical company Merck and Co. from 2009 to 2018. Merck & Co. is one of the largest pharmaceutical companies in the world. The company is headquartered in Whitehouse Station, New Jersey. In 2018, declared cash dividends amounted to 1.99 U.S. dollars per share.